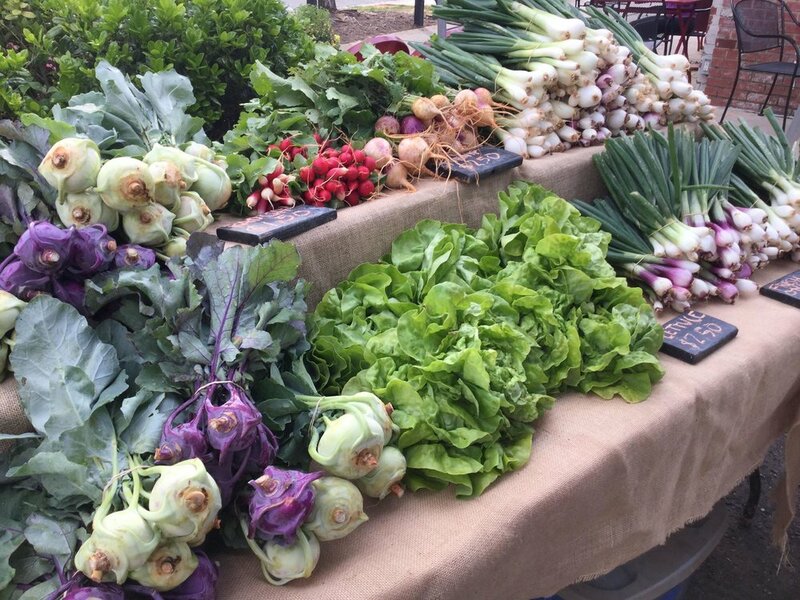 The summer CSA season lasts 18 weeks beginning in early June and ending in Early October. Members choose a large share (a choice of 10 “items” per week), a regular share (8 items per week) or a small share (4 items per week). You can come and choose your share each week at one of the locations provided. Each week we’ll send out a newsletter ahead of time, letting members know what we’ll have that week. We’ll also share a recipe or two so you know what you might do with the produce you pick up. Further down on this page we have a list of what you might expect to pick up at what time of the season, but we do a good job at providing a variety of options for everyones tastes. In June and early July you will be able to choose from head lettuce, salad mix, carrots, peas, broccoli, cauliflower, kale, beets, scallions, kale, radishes, parsley, cilantro, dill, turnips, and more. In late July and early August we’ll have most of what’s available in spring as well as potatoes, tomatoes, cucumbers, sweet corn, sweet and hot peppers, yellow squash, zucchini, eggplant, onions and more! As we make our way towards the fall harvest, we’ll have much of what’s available in summer and spring, as well as winter squash, brussels sprouts, leeks, winter radishes, sweet fall carrots, broccoli, cauliflower, kale, and much more! a bunch of carrots, a pint of cherry tomatoes, a bunch of fresh onions, two heads of lettuce, a bag of salad mix, a few zucchinis, and a pint of shiitake mushrooms. Our share sizes and prices are listed at the bottom of this page, feel free to reach out with any questions. Our email is chirpcreekfarm@gmail.com and you can call or text (207) 219-9090. From now until May we’re having a sale on our paid-in-full CSA options! We appreciate all our members who sign up early and we know you appreciate lower prices! In Addition to delicious produce each week, CSA members are entitled to a sleigh ride around the farm and surrounding woods during the wintertime! Bring the family or have a romantic getaway for two! CSA members are also allowed to visit the farm if they want to learn more about where their food comes from or want to hang out with their hardworking farmers. Our CSA members are the most important part of our business so we take time to meet your needs and make you feel included in the farm. If you end up having too few veggies each week or too many, we make it easy to change share sizes during the season, so you don’t have to worry about choosing the wrong share for your needs. We are now offering delivery to customers who live in Lisbon, Sabbatus, Auburn, Lewiston or surrounding areas for an additional delivery fee. 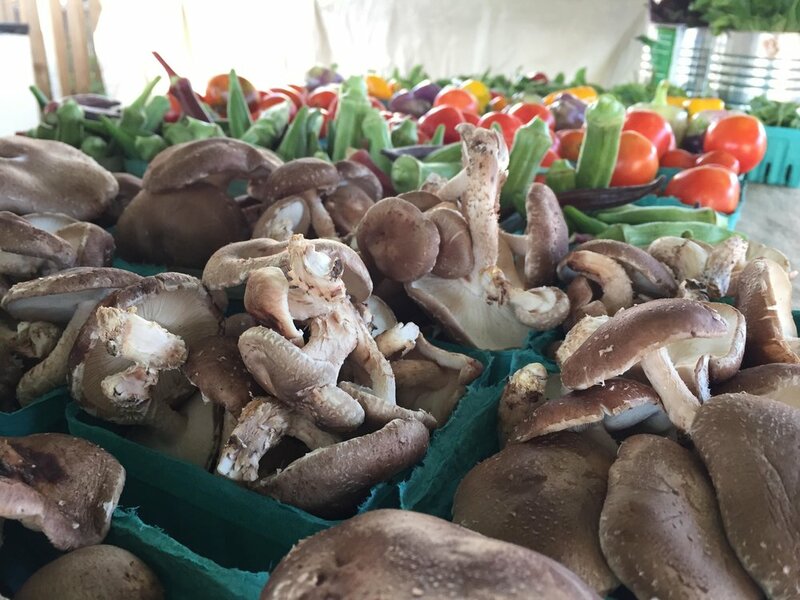 Getting local sustainably-grown produce directly from your farmer has never been easier! This is our first season farming at this location and we deeply appreciate the CSA members who are making this dream possible! You provide us with the means to get seeds planted and fields prepped early in the season by signing up early, and we show our appreciation throughout the season and we make sure our CSA members feel excited about the veggies they are getting each week by having a variety of great foods to choose from.